Packages starting at $209 with over $125 of added value! 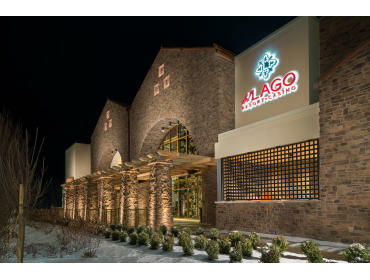 Stay at del Lago’s brand new Luxury Hotel and enjoy lots of added value! Get dinner for two in our Farmers Market Buffet. This package also gives you a jump start on winning on the casino floor with two $25 Match Bet or Free Play in our Vegas Style Luxury Casino. Don’t forget about shopping. Upon check-in, you will get your complimentary Official Waterloo Premium Outlet tote bag with a $50 gift card! Then it’s time unwind with complimentary access to our Luxury Spa Amenities including Eucalyptus Infused Steam Rooms, Cedar Wood Saunas and lounges with healthy refreshments. There is also a coed relaxation sanctuary with a lounge area.